It is that time of the year again when business activities light up like never before. Every business irrespective of its category performs well during Diwali and home furnishing leads the pack with its festive offerings. Read on to know more. In Diwali, Indian customers loosen their purse strings to grab the best offers from retailers across. It is during this time, when home furnishing segment gains maximum footfalls. 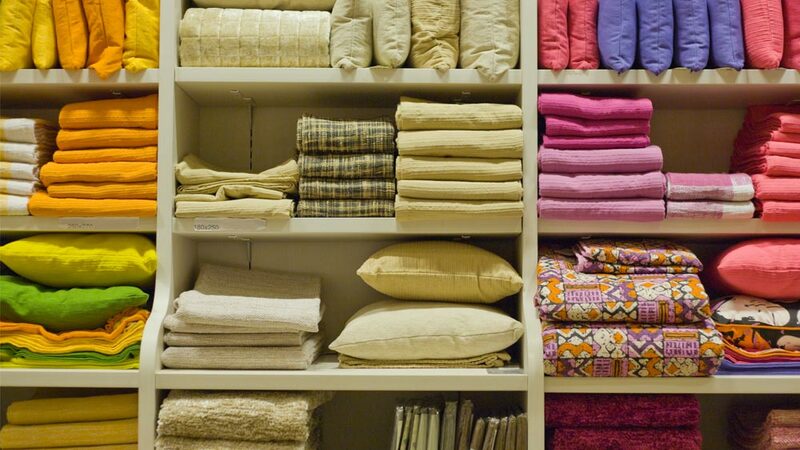 Consumers splurge in buying various things like sofa covers, cushions, curtains, bed-sheets etc to adorn their houses. Looking at the market potential, organised players have entered the sector and are cashing-in on the festive moods of the consumers. The adoption of franchising business model by the orgainsed players has further fuelled the growth of home furnishing sector. Customers these days prefer buying from branded retail outlets and retailers are leaving no stone unturned to spoil the consumers for choice. The article highlights the festive offers and factors contributing to the growth and success of home décor franchise companies. Home furnishings are an indispensable part of Diwali celebrations. To give a new and festive look to your house, home furnishing textiles like curtains, rugs, durries, carpets, placemats, cushion covers, table covers, bath linen, bedsheets, bedcovers, sofa covers, have a major role to play. Considering the popularity of this segment, a large number of foreign brands have started investing in India to raise their market share in this burgeoning industry. It is estimated that the present Rs 9,300 crore organised home furnishing market will be reaching Rs 20,000 crore by 2012. Thus, home furnishing sector is becoming the fastest growing industries in India. Following old tradition: The age all traditions of giving a new and clean look to the house during this festival to please Goddess Laxmi and Ganesha is the major contributory factor for increase in the sales. Franchisor gears up: Retailers and franchisors from home decor segment, offer special gifts and freebies, and introduce special schemes and vouchers to lure consumers in Diwali. Appropriate gift items: Home decor products like Sofa covers, bedcovers etc are the best possible gift items for Diwali. Family, friends, colleagues and even corporate houses offer special gifts for Diwali. As home furnishing is useful for each and everyone, therefore they are considered appropriate gifting items. Festive moods: Shopping is considered to be a mood buster. With rising awareness and disposable incomes, the desire of living in beautiful houses has also increased which further grows during festive seasons. Chandan Savera, Senior General Manager-Sales, Creative Portico says, “The increase of home décor segment can be attributed to the desire of customers to have an improved lifestyle.” People do not mind spending extra money to make their homes more attractive during the festive season. Therefore, it would be apt to say that organised home furnishing segment gains maximum profits during festive seasons. Diwali serves the best occasion for franchise business owners to boost their sales. Please send me the details of baggit franchise which i would like to open in my place also other bag franchisee..
sir, I am interested in dealership luggage franchise, iam owning shop of 600 squ feet , plz send all details of franchise and investment for show room.